● Sign up for a two-year contract to receive free or greatly reduced phones. ● Shop Certified pre-owned section offers second-hand, inspected and refurbished phones and tablets, at up to 60% off with a two-year contract. ● Recycle your old device and receive money to trade-in for a new one. You can get the value of your phone appraised here. 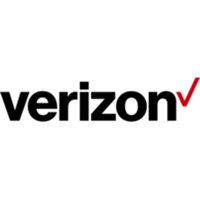 ● Coupons for Verizon Wireless do exist, but are usually very product-specific. They can provide up to 70% off + an extra $50 off and free shipping. However, be aware that these deals often require a two-year contract. $50 off select devices should be available without entering a contract. On the Verizon store you can learn about the different cell phone and tablet packages that they have available. You will be able to browse through the best plans that fit into your budget and give you the right amount of minutes and data that you need. You can also take a look at their extensive collection of smartphones including Apple devices and Windows devices. If there are any deals available through the store they will be showcased on the “Deals” page. Also, they carry an array of accessories to make using your device more convenient such as screen protectors, cases, and headphones. For most up to date offers check out Verizon on Facebook and Twitter or contact Verizon Support for any questions.